I got the ‘The Steward’s Fear’, the first adventure pack in the ‘Against the Shadow’ cycle. This concentrates more on the city of Minas Tirith and the armies of Gondor. The reviews say this pack has a very good scenario, all about conspiracies and mysteries to be solved. It also has some nice new cards for my decks. 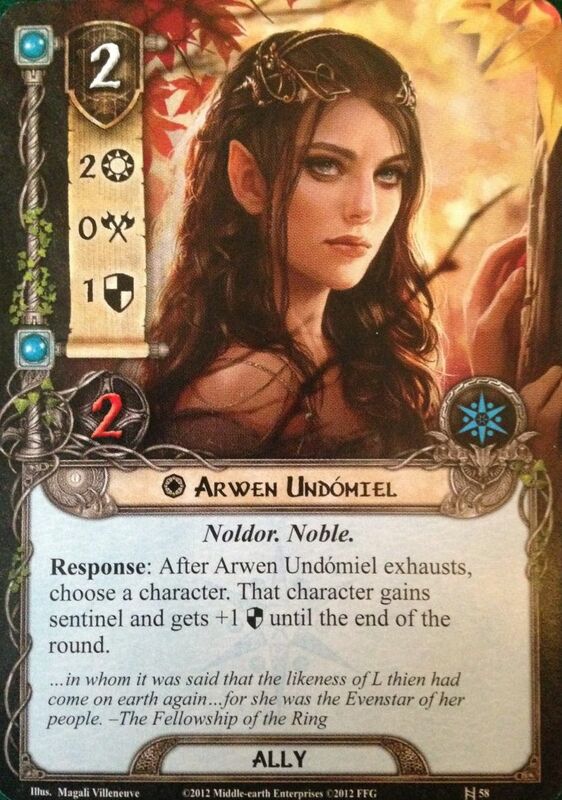 A standout card for me is the Gondorian Shield, which would be great to give to Elrohir in my Elf deck. 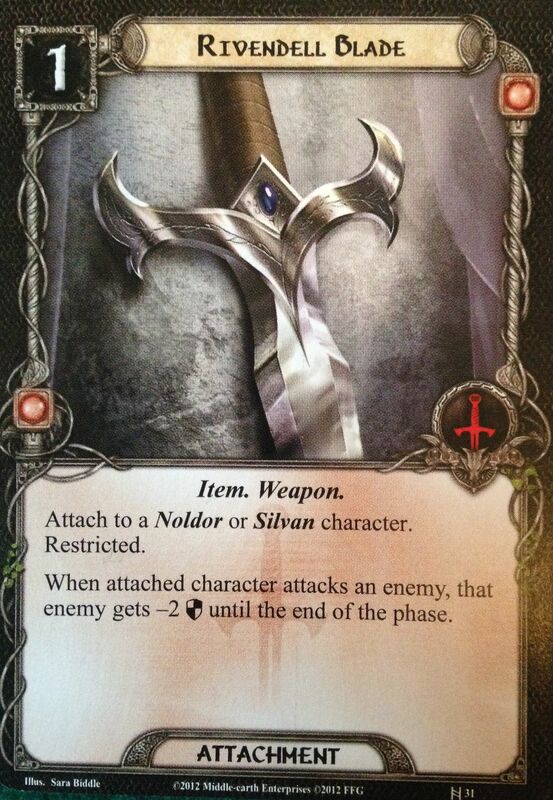 Posted in Blog Posts and tagged lcg, LOTR LCG, The Lord of the Rings Card Game, Unboxing on August 19, 2014 by Tim. I am looking for good filler cards to make up the rest of my new Lord of the Rings Card Game deck. I now have a fighty Tactics hero to help take out the Mirkwood spiders, but this means I am without a Lore hero, and so I am missing healing and card drawing. What I need to do is go through all the sets and see what is available to do this sort of thing from the three spheres I do have. While I am at it I will list all the abilities, not just healing and drawing. This should come in handy in the future as a reference. 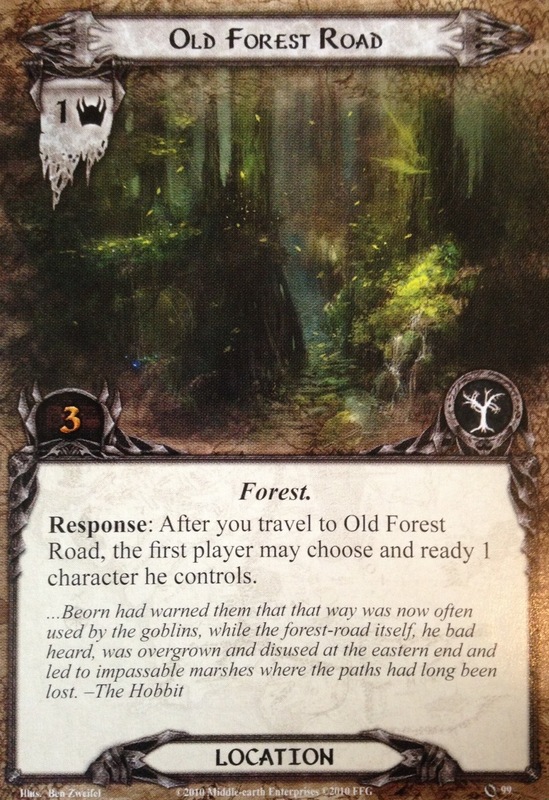 Posted in Blog Posts and tagged lcg, LOTR LCG, The Lord of the Rings Card Game on August 6, 2014 by Tim. I am building a new deck for The Lord of the Rings Card Game. My heroes are to be Elrohir, Elladan and Glorfindel. They are from the Leadership, Tactics and Spirit spheres respectively. The main focus of my deck is Tactics and combat, so I can fight off the annoying spiders in Mirkwood. What are some good Tactics cards? I do need to be careful since with three separate spheres, each has only one hero to pay for playing cards. I should avoid expensive stuff unless it is particularly good. Gandalf has a four in every stat which is great, and he does something really useful when he turns up, but he never stays long. This isn’t a full 50-card deck. It needs to be filled out with cards that will compensate for having no access to the Lore sphere, which is mainly healing and drawing. I shall go through all the sets I have and create some lists of what cards in each sphere provide the various effects. 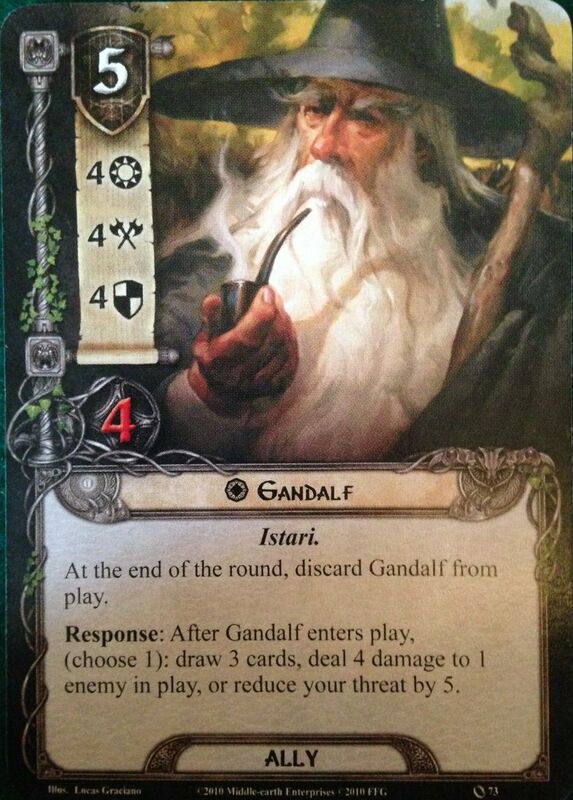 Posted in Blog Posts and tagged lcg, LOTR LCG, The Lord of the Rings Card Game on August 4, 2014 by Tim.